Loom braclets are a popular new trend that is popular with children that allows them to make friendship bracelets which are made out of tiny rubber bands. Looms comes in many different colors and it's up to the creativity of the person and the skill level of the person to make the loom bracelet. So far when it comes to Pokemon loom's I have not seen any specific ones in stores but people have been coming in and asking about these since there is Hello Kitty looms. Ive seen a Hello Kitty loom bracelet kit that comes with small charms which are shaped like Hello Kitty. And I have seen people just make Hello Kitty faces using looms. But as of so far I have not seen any Pokemon looms. With how popular Pokemon is hopefully a company will start making Pokemon looms at the very least using Pokemon charm's which can be weaved into the loom's during the creation of the braclet similar to the Hello Kitty ones. Or it would be nice if a company came in and made a specific Pokemon Loom bracelet kit that provides enough looms to make the respected Pokemon with the proper loom colors since when you buy most of the packs they don't usually provide all of just one color and the color of the looms are usually really random from most stores. I have seen some user made guides of making Pokemon looms but they look nothing like the actual pokemon and usually it's not the fault of the person making them. Usually its more the issue of lack of proper loom band color's. There are some multi colored loom braclet kits and they do contain some of the colors to make the Pokemon loom's but it would be up to creativity to actually make Pokemon looms since there are no real guides or nothing so far that can be found about creating Pokemon loom bracelets. 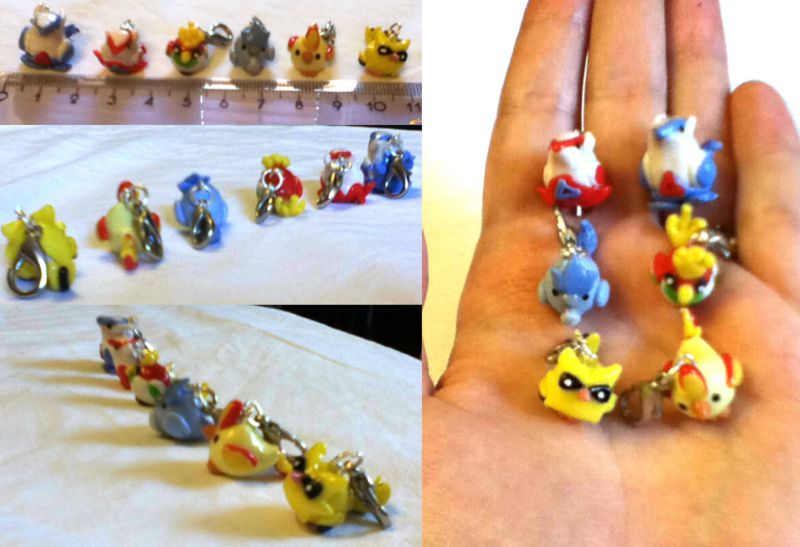 But for now you could still get some of the chibi Pokemon charms and use those along side of your loom bracelet creations to still get the Pokemon loom fashion result. These can be weaved into your loom bracelets to give them a Pokemon Theme. This would be great as a christmas gift too since it can be hard to find good gift idea's that are inexpensive. But hopefully in the future it will be possible to buy Pokemon looms without needing to just be creative. Not saying its bad to be creative since that's the whole idea behind looms but sometimes it's good to have some direction from someone that knows it's possible to make one or can help provide some extra tips that make the process much easier.